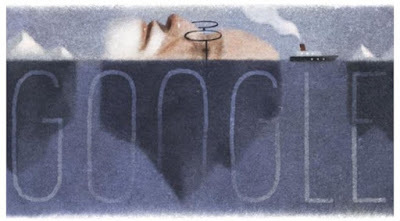 Google celebrated, Sigmund Freud's 160th with an interesting doodle of the "iceberg theory." If Google celebrates this year with a doodle, for sure I will update here. Do you believe love is a "transient psychosis?" 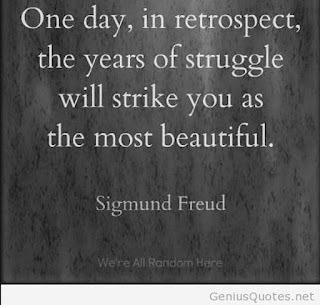 Well obviously Freud did. One of Fraud's most interesting quotes (see image below) is so powerful and relevant today more than ever. Life is filled with challenge and hardship. Many things happen to people unexpectedly whether it be successful events or unfortunate circumstances in our lives. We live and react to things individually. 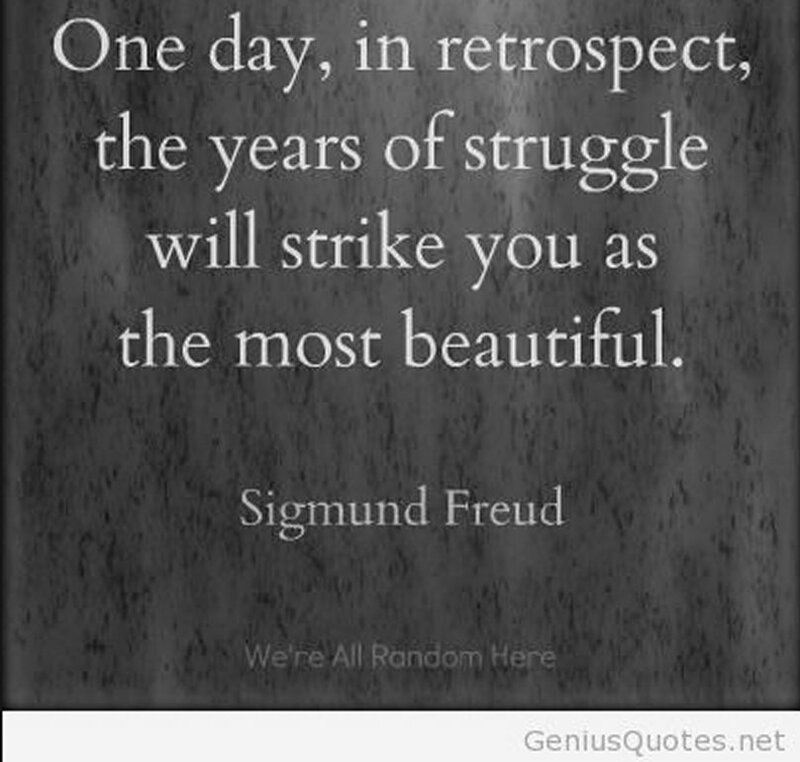 Be it happy, sad, challenging, hardships, family issues, etc., our whole self, our unique existentialism, is what helps us deal with difficulties and/or successes.